Details - Background, Support the Family. Will Nguyen is an American graduate student of Vietnamese descent. He was born in Houston, TX. He was studying in Singapore at the time of his arrest at Lee Kuan Yew School of Public Policy. He graduated with a degree from Yale University in the US. Will's supporters created by a petition for his release at change.org and set up donations through Go Fund Me to help his family cover the cost of legal fees. For updates on Will's case, family and friends ran a Twitter account, @FreeWillNguyen1. Arrested June 10, 2018. Charged under Art. 318 (2015 Code). Released July 20, 2018. Will was arrested in Ho Chi Minh City on June 10 after taking part in a protest and was shown to be bleeding from his head while being detained. Nationwide protests ocurred in Vietnam in June 2018 over draft laws on special economic zones and on cybersecurity. Authorities allege he incited protesters. He was charged for "disturbing public order," which carries a maximum of seven years in prison. His confession was broadcast on state media, but many questioned its validity, given Vietnam’s previous use of coerced confessions. Nguyen was tried on July 20 and ordered to be immediately deported from Vietnam. Even though he was convicted, the court in Ho Chi Minh City made its decision to deport Will based on him having expressed remorse and his status as a foreigner; he could have been sentenced to up to seven years in prison. His family reported that he later arrived safely in Singapore. By August 2018, he had arrived back in Houston in the United States. In an interview, he stated that he had done nothing wrong and reflected on the nationwide protests and his time in prison. 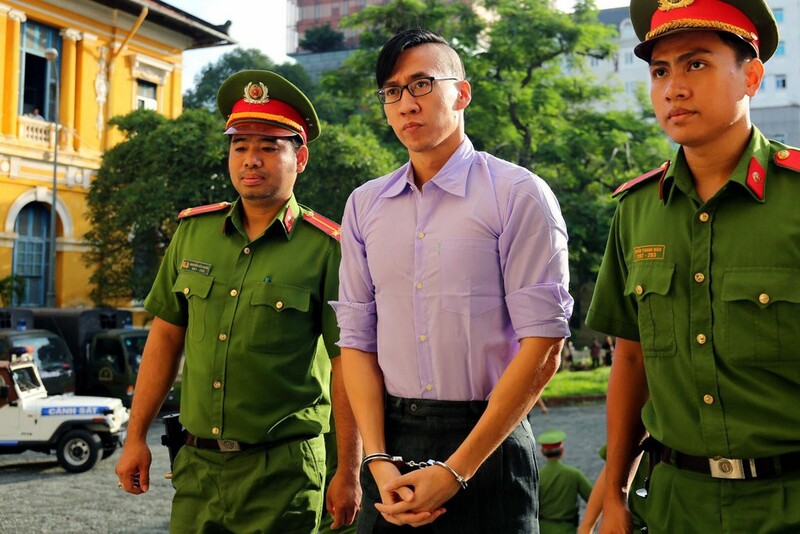 In an interview with Radio Free Asia, Will Nguyen revealed that his confession shown on TV by state media was filmed under the demand of the police. They staged a scene for the confession, and the final confession shown was his fourth or fifth take. He had to act many times until the authorities found it persuasive. A consular officer visited him in detention twice in June 2018 and reported he was in good health. A third visit reportedly occurred on July 13, and Will was still in good health. Though US Secretary of State Mike Pompeo allegedly raised his case during his visit to Vietnam, Will's family and many supporters say the US had not done enough to ensure his release.